Gurupushyamrut Yoga (Guru Pushya Nakshatra Yog) is an auspicious period which falls on Thursday that coincides with Pushya Nakshatra. In June 2012, Gurupushyamrut Yoga date is June 21. Time of Guru Pushya Yoga is: begins at night 4.15 (28.15) and ends at 6.04 (30.04 hrs). It falls on early morning on June 22. This Gurupushyamrit Yoga falls on Shukla Paksha Dwitiya in Ashada Month as per all Hindu lunar calendars. 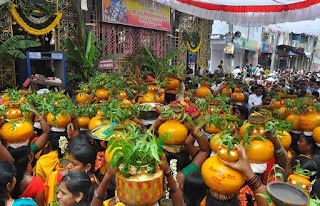 It falls in Aani Masam in Tamil calendar, Midhuna Masam in Kerala Malayalam calendar and Ashar month in Bengali calendar.